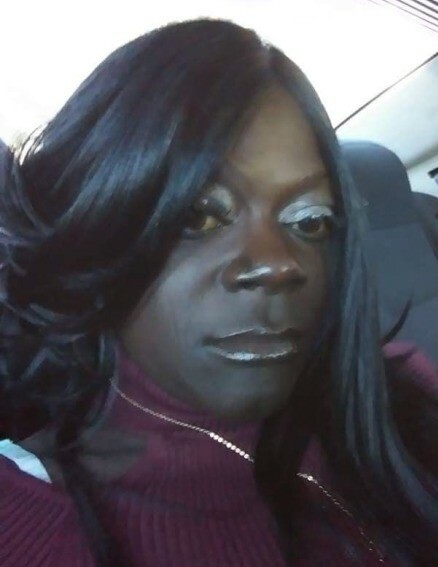 Alesia Marie Robinson was born in Mobile, AL on September 15, 1983 and was called to eternal rest on February 6, 2019 at a local hospital. She leaves to cherish here memories a devoted husband, James Burnett. One daughter, Jalesia Robinson, of Mobile, AL. Six sons, Jakane, James, John, Johnathon, Jamarcus and Juzun, all of Mobile, AL. A loving mother, Della Robinson Pettaway, here father Frank Pettaway. Three brothers, Frank (LaQuanda) Robinson, Mobile, AL., Cedrick (Jessica) Pettaway, Selma, FL. And John (Chinesia) Pettaway, Demopolis, AL. One devoted grandmother, Edna Robinson, Mobile, AL . One aunt, Cindy (Reginald) Banks, Mobile, AL. Two uncles, Edward (Sharon) Robinson and Tony Robinson, both of Mobile, AL. Great uncles, Senior Pastor R. L. (Pastor Oneita) Robinson, Sylvester (Gaynelle) Robinson, Eddie (Linda) Robinson, Willie (Rose) Robinson, Charlie Robinson, all of Mobile, AL., James (Ada) Robinson and King Robinson, both of New Orleans, LA. Three great aunts, Berneice Craig, Eliza Robinson, both of Mobile, AL and Martha Robinson, New Orleans, LA. A host of nieces, nephews, cousins, other relatives and friends. Visitation will be Friday, February 15, 2019 from 1:00 PM to 6:00 PM at Heritage Funeral Home, 953 South Broad Street and Saturday, February 16, 2019 from 9:00 AM til the 11:00 AM Funeral Hour at New Ship of Zion International Ministries, 624 North Wilson Avenue, Prichard, AL 36610.